Beijing Acupuncture and Herbal Clinic has been serving Roswell, GA since 2000. 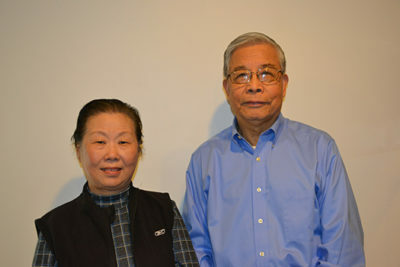 The clinic is operated by Dr. Tianlong Du and his wife Lin Wang who worked as a senior physiotherapist at Beijing Xuan-Wu hospital, Beijing, China since 1960. The treatments offered by Dr. Du include acupuncture ( body, ear and scalp ), electro-acupuncture, cupping, Tui Na massage, Chinese herbal medicine and moxibustion. Dr. Du welcomes new patients to bring their diagnosis results such as blood test, X-rays, CT scan, MRI, EEG, EMG and others obtained through western medical clinic to give a broader view of their particular health issues. So he can identify a most efficient treatment plan through transitional Chines medicine. 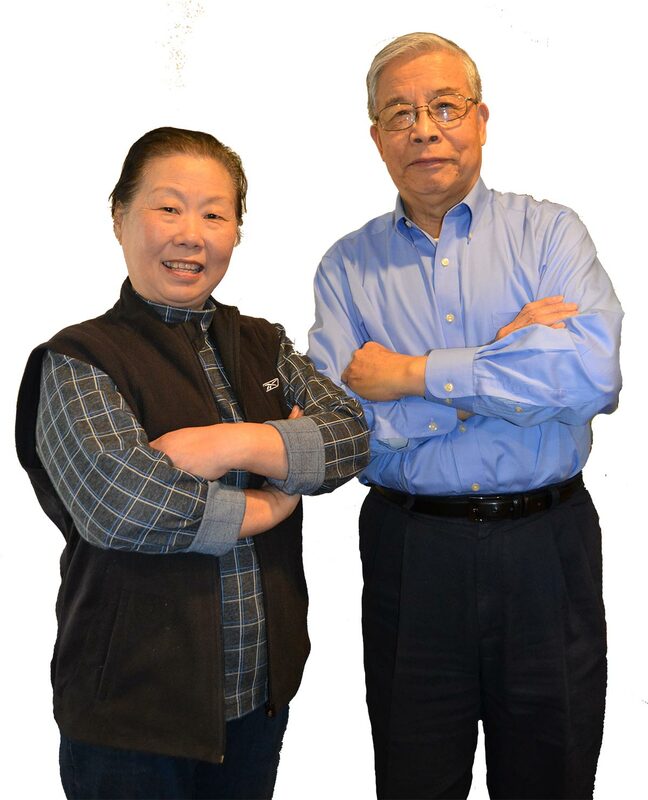 In the past half century, Dr. Du and Mrs. Du has accumulated a wealth of clinical experience. As a strong team, our clinic committed to providing the highest quality of care to every patient by attending to their individual need. Our patients’ satisfaction is our goal. 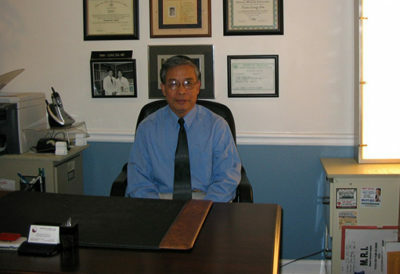 Dr. Du has been engaged in study, clinic and research of acupuncture and traditional Chinese medicine since1969. As a neurologist, Dr. Du often used western medicine combined with acupuncture and Chinese medicine to treat his patients and obtained satisfactory curative effect. Dr. Du clarified his views in books: Cerebrovascular Disease, 1979: Chinese Traditional Rehabilitation Medicine, 1988; fast Recovering of Shoulder Pain, 1990. These books were published in Beijing, China. Acupuncturist certified by NCCAOM, Licensed in Georgia and Florida. Graduated from medical school: Beijing, China, 1965, holds MD degree. Studied and practiced traditional Chinese medicine since 1963. Specializes in Neurology and Rehabilitation (neurology, neurosurgery, orthopedics, oncology, and geriatrics). Over 50 years experience using Traditional Chinese Medicine combined with Western Medicine. Dr. Du was a renowned neurologist M.D. (1965-1988) at Beijing Xuan-Wu hospital, Beijing, China, whose neurology department is the top neurology department in China. Since 1969 he has also studied and practiced transitional Chinese Medicine and Acupuncture to combine with Western Medicine to treat his patients and obtain satisfactory curative effects. 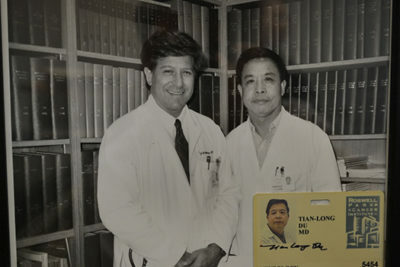 From 1988 to 1990, Dr. Du was an exchange visiting scholar, working and studying at the Department of Clinic Rehabilitation and Neurology of Medical School of State University of New York at Buffalo. From 1990 to 2000, Dr. Du worked as a clinical senior scientist at a department of neurology, Roswell Park Cancer Institute, Buffalo, NY. 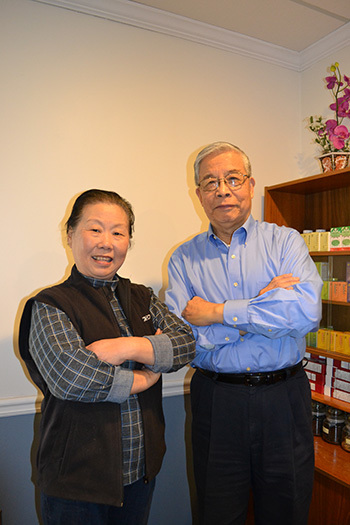 Dr. Du, who graduated from Capital University of Medical Sciences, Beijing, China in 1965, has been practicing acupuncture and Chinese medicine in greater Atlanta for the past 10 years. Dr. Du collaborates harmoniously with the Clinic of Foundation Recovery Network, Roswell, GA to treat patients. In our clinic, Dr. Du has helped a lot of patients who had exhausted traditional western medicine and treatments, and saw no improvement to their health issues. He would study the patient’s previous diagnosis and then tackle the issues using traditional Chinese methods. Pain management is one major issue he has treated in this manner as well as withdrawal syndrome due to drugs or alcohol addiction. 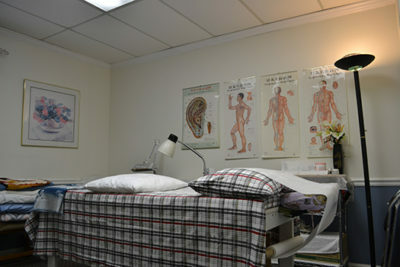 At Beijing Acupuncture and Herbal Clinic, we charge reasonable fees for our professional services. If you have any other doctors’ diagnosis and medical records, such as blood test report, X-ray (report, film), MRI (report, film), EEG report, EMG report, ENG report and so on, please bring it with you to our clinic on your first visit. Acupuncture and moxibustion are two of oldest forms of healing known to people. 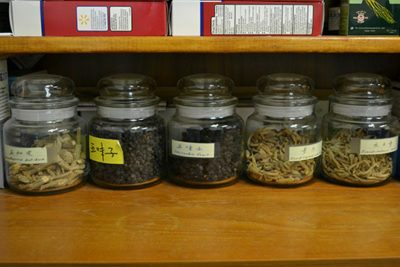 It is an important branch of Traditional Chinese medicine, that originated in China over 5000 years ago. However, they are still considered new overseas, so here are some of the most frequently asked questions. Flat rate fees are charged for each clinic visit. Fees cover all treatments performed during the visit. The first visit usually takes about an hour and a half. Follow up visits are usually an hour long. Any herbs that are prescribed and ordered are at an additional cost. This includes consultation, examination and acupuncture treatment. If clinically needed, we may also perform acupressure, electro-acupuncture, moxibustion, cupping, or Tui Na. This covers all treatments. Herbs will be charged separately. We accept cash or check as forms of payment. In Georgia, acupunture is not yet fully covered by health insurance. However, a number of health insurance companies have benefit coverages, such as discounts, for acupuncture program. Please check with your health insurance company to see what benefits are available to you. We help our clients to complete insurance claim forms with ICD code and CPT code. You can directly send the form to your health insurance company. Then the company will reimburse you in full or partially. For auto-accident injury patients, we also help our clients to complete insurance claim forms, so you can directly send it to the auto insurance company for reimbursements. Acupuncture is a method of preventing, diagnosing, treating many common diseases by inserting metal needles into the body surface of designated locations, called acupuncture points, at various depths and angles. Classical acupuncture involves the insertion and manipulation of filiform acupuncture needles through the skin to specific points on the body for the purpose of regulating life energy in order to achieve therapeutic results. Modern technology has produced a variety of new techniques, including the application of pressure, heat, cold, electricity, microwave, lasers and even magnetism to selected points. Points may also be stimulated electrically by placing an electrode on top of the needle, or directly on the skin (without a needle). Acupuncture can be a valuable addition to general medical practice. Moxibustion involves the burning of a special herb called moxa (Artemesia vulgaris) in the form of cones or rolls above selected points on the body (not directly on the skin). The warm heat and evaporated plant oil thus generated is therapeutic for treating a number of medical problems. It can be used alone or in conjunction with acupuncture depending on the nature and condition of the ailment. Is acupuncture only useful to cover up symptoms? No, the purpose of acupuncture treatment is to correct the underlying causes ( the imbalance of the life force). Once the imbalance has been corrected, symptoms often don’t occur. That is especially true if the illness is recent, the patient isn’t too advanced in age, and if he or she is in relatively good health. In cases where a disease has progressed too far, it is often possible to give sufficient relief so that one can resume reasonable activities, and may even prevent it from developing further. No, usually the acupuncture needle can hardly be felt at all. Sometimes, a slight pricking sensation may be felt. Once in place, the acupuncture needle may cause a light tingling, numbness, soreness, or heaviness. This needling sensation is the body’s natural reaction to the stimulation of the needle. The size of acupuncture needle is only 1/5 of the size of the needle used for injection. Also we employ a special insertion technique that makes skin penetration almost pain free. What should I expect after an acupuncture treatment? Some patients feel more energetic, or more relaxed after an acupuncture treatment. For those seeking pain control, it’s possible to have some discomfort the day following an acupuncture session for the initial few sessions. This is an indication of positive response. It is the overall, long-term benefits that can occur from acupuncture that we are striving to achieve. Improvement may occur immediately after the first treatment or not seen until after the 10th treatment. The number of treatments varies not only with the type of illness and extent of ailments, but also based on the age of the patient, his or her general state of health, and how long they had a particular symptom. For many common illness of recent onset, 2-6 treatments will usually suffice. Severe or chronic cases will generally require more treatments, however some patients may respond quickly. After all the symptoms have gone, several more treatments are recommended to produce a longer lasting relief or remission. Is there anything I need to do before and after every treatment session? It’s important to have eaten some solid food so you don’t come to treatment feeling hungry. It’s also important not to be too tired or under the influence of alcohol, excessive coffee (or caffeine-containing tea or soda), or a heavy meal. On the day of treatment, optional drugs such painkillers, tranquilizers, and non-prescription drugs should be avoided if all possible. However, you should take the medication that has been prescribed by your doctor. After treatment, try to avoid anything very hot and very cold and avoid extremes such as steam baths, cold plunges, and so on. You should plan a relaxed evening. You may shower or take a bath before treatment but don’t shower or bath afterwards until the following day. Here is a picture of our miracle baby, Emma Grace. She was born on 06.13.05. She is home with us now and doing well after arriving 8 weeks early and staying in the hospital for 9 weeks. 1964-1965 Internship, Capital University of Medical Sciences, Beijing, China. 1963-1999 Continually study of acupuncture and traditional Chinese medicine, China. 1965-1975 Resident, Department of Neurology, Beijing Xuan-Wu Hospital, Capital University of Medicine Sciences, Beijing, China. Chief Resident, Department of Neurology, Beijing Xuan-Wu Hospital, Beijing, China. 1975-1985 Attending Doctor, Department of Neurology, Beijing Xuan-Wu Hospital, Beijing, China. 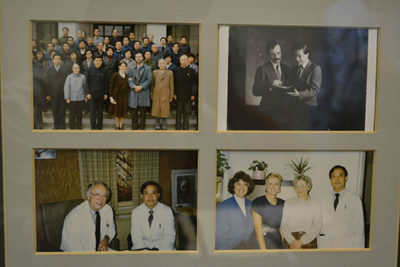 1985-1988 Deputy chief doctor and Deputy chief, Department of Neurology, Beijing Xuan-Wu Hospital, Beijing, China. 1986-1991 Chief , Department of Rehabilitation, Beijing Geriatric Institute, Beijing, China. 1986-1988 Associate professor, Department of Neurology, Beijing Xuan-Wu Hospital, Capital University of Medical Sciences, Beijing, China. 1988-1991 Professor; Chief, Department of Neurology, Beijing Xuan-wu Hospital, Beijing, China. 1988-1990 Exchange visiting scholar, Medical School of State University of New York at Buffalo in various hospitals: clinics of Rehabilitation and Neurology department. 1990-2000 Visiting scholar and clinical senior scientist, Laboratory of Neuroimmunology and Neurovirology, Roswell Park Cancer Institute, Buffalo, New York. April 1997 Licensed # 006926. 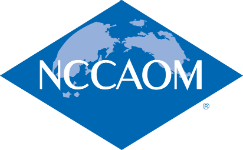 National Certification Commission for Acupuncture and Oriental Medicine ( NCCAOM ). July 1997 Acupuncture physician. License #: AP-0000886 of the Board of Acupuncture, Florida. Oct.,2000 Licensed acupuncturist. 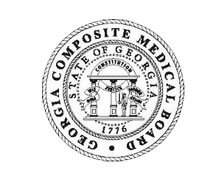 License #: 000010 of the Georgia Medical Board, Georgia. Oct. 18th, 2002 Interviewed by channel TV-10 about acupuncture and Chinese herbal medicine. I have been engaged in study, clinic and research of acupuncture and traditional Chinese medicine since 1963. Head Acupuncture study of National Head Acupuncture Class, Shanxi Province, China (1972); Acupuncture study class, Huatou School of China Academy of Traditional Chinese Medicine, Beijing, China (1994); Acupuncture special program study of pain control and stroke rehabilitation, Training Department of Chinese PLA General Hospital and Military Postgraduate Medical School, Beijing, China (1999). 2. Clinic: I used western medicine and acupuncture, traditional Chinese medicine to treat many patients and obtained satisfactory results. I also used acupuncture to treat patients in the emergency room. 3. Research: first time I found two patients of congenital insensitivity to pain in China. We used psychological and electrophysiologic approaches to study the principle of acupuncture (1981-1983). 3. Fast Recovering of Shoulder Pain. Paper “Occlusion of circulus arteriosus of Willis-report of 40 cases”- awarded first place by Beijing Health Bureau. Paper “The study of psychological characteristics of two patients with congenital insensitivity to pain”- awarded first place by the Beijing Health Bureau. Society of Neurology and Psychiatry, Chinese Medical Association. Society of Rehabilitation, The Committee of Chinese Handicap Welfare Fund, China. National Certification Commission for Acupuncture and Oriental Medicine ( NCCAOM ). Presentation: Successful resuscitation of 12 cases of circulatory arrest over 8 minutes in duration. Bucharest, Romania. 1. He RQ, Liu GQ, Du T-L. Successful resuscitation of 12 cases of circulatory arrest over 8 minutes in duration. Chinese Medical Journal. 1973; 3: 158-163. Article presented at the international Conference of Medicine in Romania, in 1971. 2. Du T-L. Mung JM. Occlusion of circulus arteriosus of Willis-Report of 40 cases. Chinese Journal of Neurology and Psychiatry, 1980; 13:136-139. 3. Huang MS, Wang ZZ, Du T-L. Stiff-man Syndrome (a report of 4 cases).Chinese Journal of Nervous and Mental Disease. 1980; 6:86-88. 4. Xu SL, Yang ZL, Du T-L, et al. The psychological and physiological characteristics of two patients with congenital insensitivity to pain. 1. Emotional characteristics. Acta Psychological Sinica. 1984; 3:290-297. 5. Xu SL. Yang ZL, Du T-L, et al. The psychological and physiological characteristics of two patients with congenital insensitivity to pain. 2. Congenital and reaction to pain causing strong stimulus. Acta Psychological Sinica. 1984; 3:298-306. 6. Mung CH, Du T-L, Mung JM, et al. Changes of evoked potential by pain and tolerance threshold to intensive stimulation after Naloxone administration in patients with congenital analgia. National Medical Journal of China. 1984; 64: 749-752. 7. Du T-L, Mung JM, et al. Congenital insensitivity to pain- a report of 3 cases and review of literature. Chinese Journal of Nervous and Mental Disease. 1985; 11: 225-228. 8. Xu SL, Wu ZY, Du T-L, et al. Needing sensation and needing reaction in two patients with congenital insensitivity to pain. Information on Psychological Sciences. 1985; 1:32-35. 9. Du T-L. Application of Citidine in the neurological clinic (a report of 10 cases).Chinese Journal of Neurology and Psychiatry 1985; 18:97. 10.Beers T, Du T-L, Richert M, Overturf P, Choi Y, Greenberg SJ. Ex vivo clonotype primer-directed gene amplification to identify malignant T-cell repertoires. Journal of Leukocyte Biology. 1993; 54:343-350. 11.Fujihara K, Du T-L, Selkirk S, Ward P, Rickert M. Hohmann P, Bisaccia E,Greenberg SJ. A new human endogenous DNA sequence homologous to HTLV-1 pol. Genomics. 1994; 22:246-247. 12.Greenberg SG, Choi Y, Ballow M, Du T-L, Ward PM, Rickert MH, Frankle S, Bernstein SH, Brecher ML. Profile of immunoglobulin heavy chain variable gene repertoires and highly selective detection of malignant clonotypes in acute lymphoblastic leukemia. Journal of Leukocyte Biology 1995; 57: 856-863. 13.Choi Y, Greenberg SJ, Du T-L, Ward PM, Overturf PM, Brecher ML, Ballow M Clonal evolution in B-lineage acute lymphoblastic leukemia by contemporaneous VH-VH gene replacements and VH-DJH gene rearrangements. Blood 1996;87:2506-2521. 14.Greenberg SJ, Fujihara K, Selkirk SM, Yu F, Du T-L, Glenister N, Hohmann P, Rickert MH, Spence PO, Miller CE, and Jacobs LD. Novel Compound Tetra- Dinucleotide Microsatellite Polymorphism in the Tumor Necrosis Factor/Lymphotoxin Locus. Clinical and Diagnostic Laboratory Immunology, Jan. 1997, 4: 70-84. 1. Du T-L. The experience and lesson of diagnosis of cerebral cysticercosis. Annual Meeting of Beijing of Neurology and Psychiatry. 1987, p78-79. 2. Sun L, Du T-L, Tian T. Cerebellum infection- Clinical Analysis with CT scan ( a report of 12 cases ). Annual Meeting of Beijing of Neurology and Psychiatry.1987, P 92-93. 3. Guo JP, Du T-L. Translation of maxillaty sinus cancer of base of skull ( a report of 1 case ). Annual Meeting of Beijing of Neurology and Psychiatry. 1987, p96-98. 4. Tian T, Du T-L. The cerebral cysticercosis of brain basal ganglia ( a report of 1 case ). Annual Meeting of Beijing of Neurology and Psychiatry. 1987, p 141-142. 5. Tian MT, Du T-L, Lou XL. Clinical analysis of acute cerebrovascular disease of over 80 years old ( a report of 23 cases ). Annual Meeting of Beijing of neurology and Psychiatry. 1988, P 95-96. 6. Lou XL, Du T-L. Repeated intracranial hemorrhage with congenital absence of eight factors ( a report of 1 case ). Annual Meeting of Beijing of Neurology and Psychiatry. 1988, p123-124. 7. Ai Y, Du T-L. Lock-in Syndrome ( a report of 3 cases ). Annual Meeting of Beijing of Neurology and Psychiatry. 1988, p 124-126. 8. Wang ML, Du T-L. cerebellum hemorrhage ( A report of 27 cases ). Annual Meeting of Neurology and Psychiatry. 1988, p 126-128. 9. Mung JM, D T-L. Treatment of rehabilitation and evaluation in the cerebrovascular disease. Annual Meeting of Beijing of Neurology and Psychiatry. 1988, p 139-141. 10.Cotter JA, Du T-L. Does retinal dystrophy alter the cytochrome oxidase histochemistry of the brain? Forum in Cellular and Organ Biology. 1990. 11.Beers TF, Choi Y, Du T-L, Greenberg SJ. Rapid and sensitive molecular genetic identification of T-cell receptor clonotypes ex vivo. J Cell Biochem Abstract, 1993; supplement 17E. 12.Choi Y, Du T-L, Overturf PM, Rickert MH, Greenberg SJ. ex vivo molecular genetic identification of residual hematopoietic malignant clones in acute lymphocytic leukemia. J Cell Biochem Abstract, 1993; Supplement 17E. 13.Greenberg SJ, Beers TF, Choi Y, Rickert MH, Overturf PM, Du T-L. Heterogeneity of clonal T-cell receptor beta chain variable repertoires in adult T-cell leukemia. J Cell Biochem Abstract, 1993; Supplement 17E. 14.Greenberg SJ, Choi Y, Du T-L, Rickert MH, Frankel S, Bernstein S, Brecher M. Molecular identification of malignant clones in central nervous system leukemia/Lymphoma. Neurology Abstract ( A378 ), April 1994; Supplement 2. 15.Greenberg SJ, Choi U, Overturf PM, Du T-L, Choi Y, Zhang HT, Glenster N, Robinson TA, Plunkett RJ, Lis A, Hohmann P. Drug activation via chimeric. Which one is a bigger number, 2 or 123? The best suitable treatment plan for each patient is designed according to their specific conditions and needs. How acupuncture helps in case of Infertility?